Chinese companies are aggressively acquiring overseas assets and companies. Meanwhile, they have to face the challenge of upgrading organizational capabilities to match global operations. This book provides substantial management knowledge and real experience, which are of high value to Chinese companies with global ambitions. One feature of this book is that it effectively integrates management theory and real cases of globalization of companies from different countries. Thanks to the strong connection between theory and practice, this book provides convincing principles for building organization capabilities of global companies. Kudos to the authors efforts in designing a roadmap for Chinese companies. No doubt this book will help Chinese companies go global in a better and smarter way. Through extensive case studies, this book thoroughly explores the managerial challenges facing Chinese companies going global. It will help business leaders worldwide to better understanding the potential global competiveness of Chinese companies. 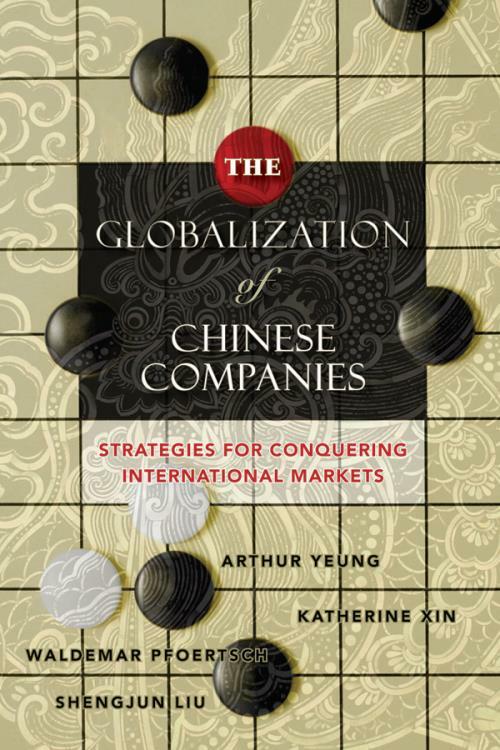 The authors of this book wish to get to the bottom of the fast globalization of Chinese businesses. Through their very pragmatic way of approaching this phenomenon they make a contribution to the better understanding of one of the most striking global economic developments of recent years. Chinese companies emerging as global winners will be those capable of turning entrepreneurial spirits into innovative systems, building successful products into sustainable brands, and marrying the drive to compete with the dream to serve. This journey is not for the faint–hearted. For those who aspire to enter into the winner s circle, this book is an insightful and practical guide. Many Chinese companies are today on the threshold of a new era, bringing their activities to an even higher quality level, compared to Western standards. In many businesses a fruitful exchange of know–how with worldwide operating companies will be conditional to speed up processes. Even more acquisitions than in the past will there fore be needed and realized by Chinese companies. In this respect this book is written at exactly the right moment and provides detailed knowledge and practical cases for Chinese companies and management to avoid the usual booby traps in going global. Chapter 8: China–rooted Global Outreach. Appendix 4: ZPMC s Global Strategy. Appendix 7: Trend Micro s Hybrid Team.